Find out more about who we are & what we do. Want to make music? We offer a diverse range of ensembles. Exciting events throughout the year! Join us for some fantastic music. Help change young people’s lives. Find out how you can support us. Professional development opportunities, music resources and instrument hire. Help Us Reach Out Fundraising Target! Our mission is to make music more inclusive - this means that everything that we do costs us around three times more than we charge for it. We offer concessionary rates for all our ensembles, as low as just £11 a year. This means that we have to fundraise a significant sum each year to continue providing these life-changing opportunities. We are currently in the last four months of our Catalyst grant, under which all donations made to us are matched by the Arts Council England. This is a fantastic opportunity for us and for our supporters because all donations made to us are automatically DOUBLED! Please donate by clicking here or visit the support us section to find out other ways you can help. 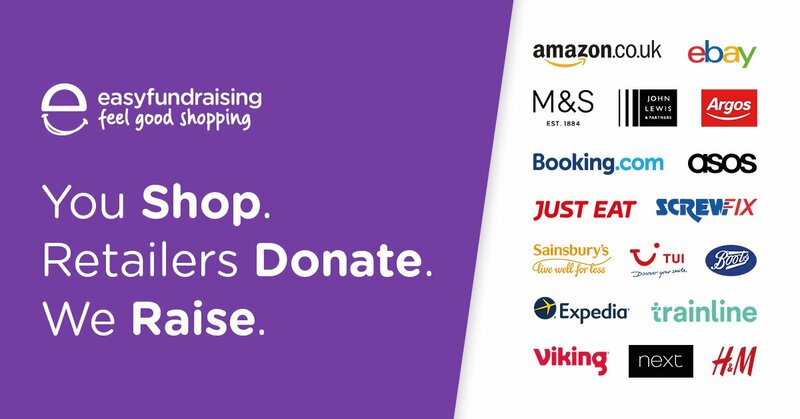 One of these is simply registering for Easyfundraising (for FREE!) and doing all your online shopping through it. Fancy new headphones or some Chinese take out for dinner? Click here to support us while making your dinner dreams come true! Together, we can make music make a difference. We believe that music makes a difference. As a registered charity and lead partner for the Nottingham Music Education Hub, we are committed to making music more accessible and inclusive. We support young people from across the city to develop their musical skills, and participate in diverse ensembles and performances, contributing to the life of our great city. Ellie, 13, has been singing since she was 7 but it was at Sing City, a competition for young people in Nottingham City, that she performed in front of an audience for the first time. Ellie’s mum found out about the competition and told her she should go for it. Ellie sang in front of an audience for the first time at the Heats, went through to the final and ended up winning! She was one of the youngest entrants that year and said she had not been expecting it at all! A month later, she was performing at the beautiful Albert Hall to an audience of 800+ people. “I was terrified,” she admitted but her voice did not betray any anxiety. Since then, Ellie has come a long way. After Sing City she was introduced to Band Factory, a programme that provides rehearsal space and professional guidance to young people, helping them form bands and connecting them to other professionals in the music industry. Through Band Factory and her fantastic singing teacher (who has been teaching Ellie since she was 7), Ellie has been able to get gigs around the city. Ellie continues to attend Band Factory and is currently helping other participants with performance and singing as part of her Duke of Edinburgh volunteer hours. She performs around the city as a solo artist as well as part of a duo with Matthew Baggaley (another Sing City winner and Band Factory member). An avid hard rock fan, Ellie enjoys singing a range of different styles and is always on the lookout for new music. She is also trying her hand at writing songs and is excited about what the future holds. This year promises to be a great one with more musical activities going on than ever! As the lead organisation for the music hub in Nottingham, we provide a lot of opportunities to make music. We work with young people 19 years and under and have fun events and competitions through out the year. Check out our 'Make Music' section to learn more about the ensembles and musical groups. If you are already playing in one of our ensembles, be sure to visit the notice boards for your group. You can see our 'Blog' section to find out what we've been up to in the last few months and if you have a story to share, get in touch. We would love to feature your musical story on our page.